There are 96 Listings in this Category.List your addon or plugin here! Check pgsql service making a query. This plugins check if a service is runing or not, just by localhost. This plugin checks process memory by SNMP on host. This script as a event handle procedure for switch on gateway cluster. this script evalute the rate on ping failed on group ip and set new route for othergw. Check the minimum and or maximum size of a file on unix and windows. You can also specify how to react if this file is missing (unknown, critical or OK) This plugin also returns perfinfo. 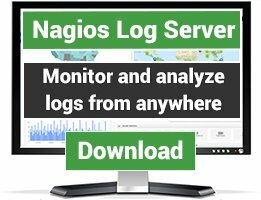 check_AMQP is a small Nagios plugin that tests an AMQP resource by sending a message, collecting it and calculating the round trip time. 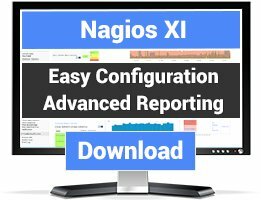 This is a Nagios Plugin destined to check the status of Cisco ASA failover peers. This is a Nagios Plugin destined to check the state of IPsec Site-to-Site VPN tunnel on Cisco ASA device via SNMP. Check bandwidth checks if the current bitrate of a network interface differs from the average for that interface. It is very useful for monitoring ISP uplinks, which tend to have a very stable average when everything is running ok.
check_cab is a basic shell script Nagios plugin to check datacentre cabinet/rack health via a Sinetica Hawk-I or RacKMS. It will monitor cabinet temperature/humidity etc. This is a Nagios Plugin destined to check CPU utilization on Cisco devices. 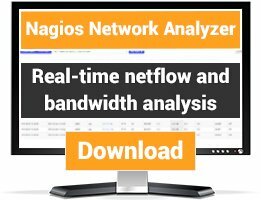 This is a Nagios Plugin destined to check the state and bandwidth of specified interface of Cisco device via SNMP. This is a Nagios Plugin destined to check RAM usage on Cisco devices. This script checks your real-world IP address and compares it to an expected result. If the two don't match, the check returns "CRITICAL" and Nagios sends an alert containing the new IP address. Primitive (for now) plugin that takes three parameters (filename, warning, and critical) to check if filename's modification time is older than "warning" or "critical" as defined in seconds. Report and alert on puppet-managed nodes which are failing or out-of-date. This plugin is for a puppet-controlled environment, which has 'The Foreman' installed. Uses snmpwalk to check the status of all components in an HP/H3C 5xxx switch. Works on IRF stacks, too. A plugin what will check the RSSI and Temperature of a Lightpointe, http://www.lightpointe.com/, wireless bridging device. This plugin performs Nmap and compare the output with a list of MACS registered and if there is a new MAC in the network plugin warns.